Disclaimer: The following information might be disturbing to some. Reportedly, Kirsten was last in Cornell’s hotel room at the MGM Grand Hotel around 11:30 p.m. on Wednesday night, helping the musician with his computer. The Detroit News states that Kirsten then gave Cornell two Ativan pills, “which victim takes for anxiety,” as outlined in the police report. As mentioned below, a statement issued by Vicky Cornell and attorney Kirk Pasich previously disclosed Chris Cornell's use of the drug Ativan, with Pasich alluding to its role in the Audioslave singer's untimely death. “The family believes that if Chris took his life, he did not know what he was doing, and that drugs or other substances may have affected his actions,” the statment said. “Chris’s death is a loss that escapes words and has created an emptiness in my heart that will never be filled. As everyone who knew him commented, Chris was a devoted father and husband. He was my best friend. His world revolved around his family first and of course, his music, second. He flew home for Mother’s Day to spend time with our family. He flew out mid-day Wednesday, the day of the show, after spending time with the children. When we spoke before the show, we discussed plans for a vacation over Memorial Day and other things we wanted to do. When we spoke after the show, I noticed he was slurring his words; he was different. When he told me he may have taken an extra Ativan or two, I contacted security and asked that they check on him. What happened is inexplicable and I am hopeful that further medical reports will provide additional details. I know that he loved our children and he would not hurt them by intentionally taking his own life. Associated Press has reported that Chris Cornell's death has officially been confirmed as a suicide by hanging by the Wayne County medical examiner. Editor's note: If you or someone you know is struggling with mental illness, there is help to be found. Please find a list of resources at the end of this story. Billboard are now reporting that the police in Detroit are investigating Cornell's death as a possible suicide. Cornell was found last night unresponsive in his hotel room at around midnight on May 18, after a family friend forced his way into the room. WXYZ reported that Cornell's wife asked the family friend to check up on Cornell before finding him unresponsive on the bathroom floor. 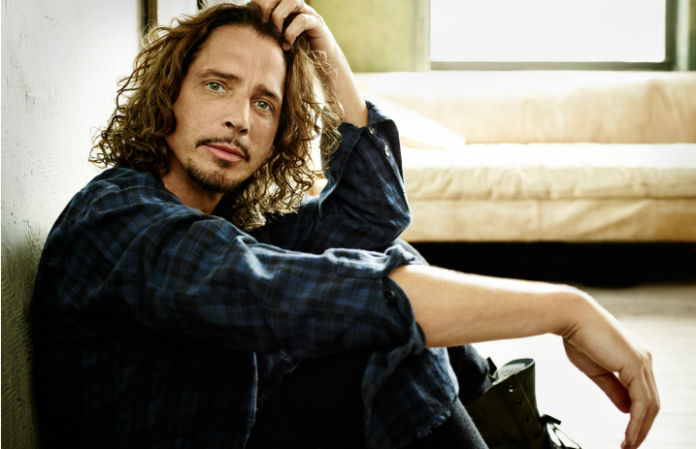 Cornell's last song performed that night was “Slaves & Bulldozers” with an interlude of Led Zeppelin's “In My Time of Dying,” you can watch a fan shot video of Cornell's final performance below. Chris Cornell, Soundgarden and Audioslave frontman, died Wednesday night at age 52. Soundgarden were in Detroit for a performance at the Fox Theatre as part of their current tour, which began in April. They were scheduled to perform at Rock On The Range in Columbus on Friday. Cornell's death was “sudden and unexpected,” according to CNN. Cornell formed Soundgarden in Seattle in 1984, and the band became influential during the '90s grunge movement. The band disbanded in 1997, but they reunited in 2010. They appeared on the cover of Alternative Press in 1989 and 1994. In 1994, they released Superunknown, which was nominated for a Grammy Award for best rock album. 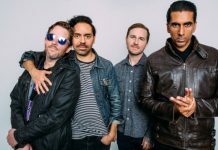 Two tracks from that album won Grammys that year: “Black Hole Sun” won for best hard rock performance, and the song “Spoonman” won for best metal performance. Cornell and members of Rage Against The Machine formed Audioslave in 2001, and they released three albums before their 2007 split.